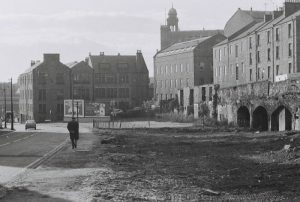 The New Cemetery, Constitution Road, Dundee - this cemetery was demolished in 1962 to make way for the Bell Street car park. The inscriptions were noted in 1950. Free Church: Elder in Free St Paul's (Rev. Mr Wilson): Prior to the 'Disruption "Thomas Brough demonstrated an alliance with the Non Intrusionists." Thomas Brough displayed no active part in burgh politics. Thomas Brough was twice elected by the Nine Trades as a Governor of Morgan Hospital. Thomas Brough, at the time of his death in 1868, had been in business for approximately 33 years. The 1841 census indicates that he was a linen manufacturer in Blackscroft (Peep o' Day Works). By 1851 the census record shows that he was a flax manufacturer, employing 32 men and 3 women. His business had expanded by 1861, with the census stating that he was a sailcloth manufacturer, employing 75 men and women. By 1864 Thomas Brough operated the Taybank Works at Lilybank, which housed 1 engine, producing 12 horse power, 68 power looms, 200 hands employed, showing continued expansion of his business. Alexander Johnston Brough (Thomas' eldest son) joined in co-partnership with his father in October 1867. Over four years, between 1864 and 1868, the works had increased further to corporate 2 High Pressure Steam Engines of 12 NHP, 2 Steam Boilers and 96 Power Looms as an advert for the sale of equipment testifies. Thomas died in February 1868 at a relatively young age. His son, Alexander Johnston Brough, declared that he found it impossible to continue the business. The business then went into sequestration with liabilities far outweighing the assets. Alexander blamed bad debts. 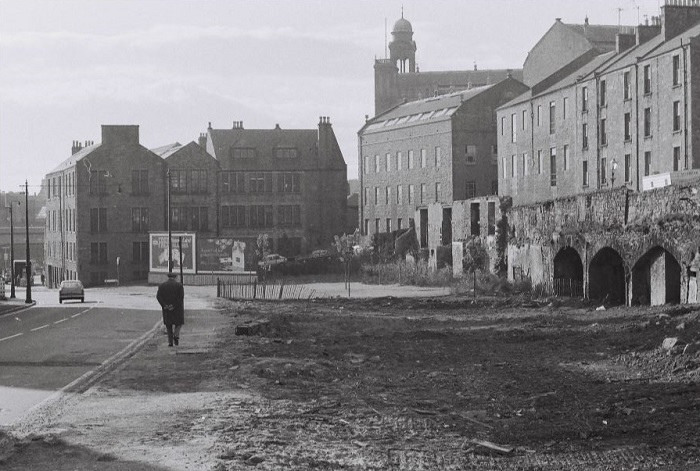 Thereafter, Alexander Johnston Brough went on to establish a successful business, with his younger brother Robert, ensuring the 'Brough' name continued to feature in Dundee manufacturing. Like his father, William Brough, before him, Thomas entered into the business of the manufacture of linen from 1835, aged approximately 23 years. The family lived in the Blackscroft area for many years and at least from 1829-30. Thomas himself appears in the Dundee Postal Directory for 1842-43 as a manufacturer at Peep o’ Day – running South from Blackscroft. No additional information has been uncovered for Thomas Brough although his son, Alexander Johnston Brough continued as a manufacturer in Dundee for a number of decades. Old Parish Registers. Dundee. Births. 1812. 282/ 90 562. ScotlandsPeople website. Old Parish Registers. Edinburgh. Marriages. 685/2 440 646. ScotlandsPeople website. Statutory Registers. Dundee. Deaths. 1868, 282/ 4/ 124. ScotlandsPeople website. Census Returns. Dundee. 1861. 282/ 2/ 15. ScotlandsPeople website. Dundee Postal Directory 1864-65. Dundee Central Library, Local Studies. Monumental Inscriptions. Volume 4. Constitution Road. p.182. entry 185. Dundee Courier, 24 February 1868. Findmypast website. Lockit Book of the Nine Incorporated Trades of Dundee. Dundee Postal Directory, 1861-62. Dundee Central Library, Local Studies. Dundee Postal Directory, 1858-59. Dundee Central Library, Local Studies. Dundee Postal Directory, 1867-68. Dundee Central Library, Local Studies. Warden, Alexander J. (1864) The Linen Trade, Ancient & Modern. London. Longman. p.656. Dundee Courier, 23 March 1869. Findmypast website. Dundee Postal Directory, 1829-30. Dundee Central Library, Local Studies. The information above about Thomas Brough has been collated from a range of digital and hard copy sources. To the best of our knowledge it is correct but if you are relying on any information from our website for the purpose of your own research we would advise you to follow up the sources to your own satisfaction. If you are aware of an inaccuracy in our text please do not hesitate to notify us through our Contact page.